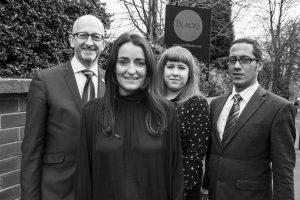 Blacks Solicitors LLP has appointed Leeds agency Brass to manage its public relations and implement a variety of dedicated PR campaigns through 2017. Brass agency won the account after a competitive five-way pitch and will now look to position Blacks Solicitors as the best law firm in Yorkshire. Lucy Baird, PR account director of Brass, said: “It’s been a fantastic year for the Brass PR team and we’re delighted to be working with a law firm who aren’t scared of trying new things. Blacks Solicitors LLP is a 19-partner firm which specialises in corporate, commercial, sport, property and private client matters and recently won Best Law Firm (11 – 30 partners) at the Yorkshire Legal Awards. Brass, which has 90 staff at its HQ in Headingley, also works with the likes of Haribo, Lil-Lets, Soreen and Kellogg’s.